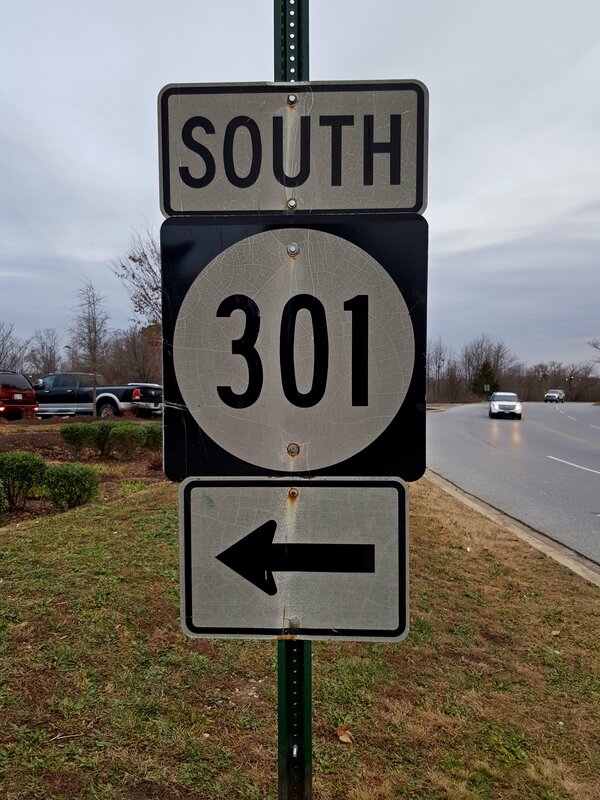 Sign for southbound US 301 at St. Charles Towne Center in Waldorf, Maryland, incorrectly using a circle shield instead of the US highway shield. Notes: The circle shield is typically used to mark state routes. However, even if this was a state route instead of a US route, the circle shield is not used in Maryland, as Maryland uses a unique square marker for its state routes.